AN international study shows countries using high fructose corn syrup (HFCS) in their foods and drinks have a 20 percent higher prevalence of diabetes, independent of obesity. HFCS is used in processed foods to make them look better and taste sweeter. Data from 42 countries, compiled by the University of Southern California and University of Oxford, found countries with a higher use of HFCS had an average diabetes prevalence of eight percent. This compared with six and a half percent in countries with a lower use of HFCS. The US had the largest consumption of HFCS per person, at 25kg a year. In the 1990s, HFCS made up 40 percent of US sweeteners and was the sweetener most often used in sodas. 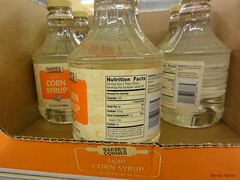 In the UK, HFCS is labeled as glucose-fructose syrup. This study is just one more reason to avoid processed foods, particularly HFCS, as our metabolisms have not evolved to process the high amount of fructose in HFCS, which is a type of sugar. Sugar has no nutritional value, is just empty calories, and has been linked to cancer, diabetes and heart disease. It goes straight into your blood stream where it stimulates the release of insulin, which can lead to diabetes. Sugar can also overwork your liver causing estrogen levels to fluctuate. Type II diabetes is one of the most common causes of death today, but it’s easy to reduce your risk with a healthy diet and lifestyle. Simply eat a healthy breakfast, a mid-morning snack, lunch, an afternoon snack and a light supper. Once you start eating six healthy meals and snacks per day and cut back on refined sugar, you’ll find your ‘sweet tooth’ and cravings naturally recede. Source: University of Southern CaliforniaGoran, M., Ulijaszek, S. and Ventura, E. (2012). High fructose corn syrup and diabetes prevalence: A global perspective. Global Public Health. Published online Nov. 27, 2012.